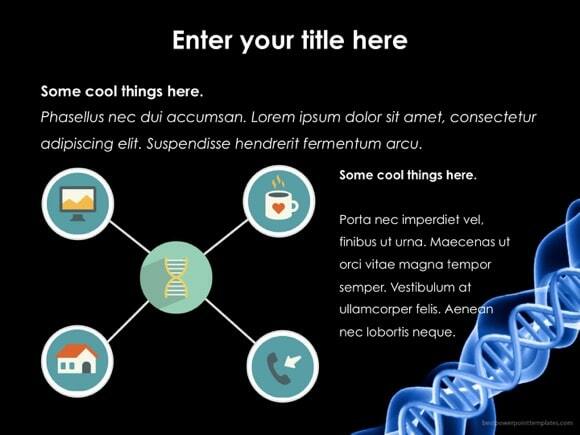 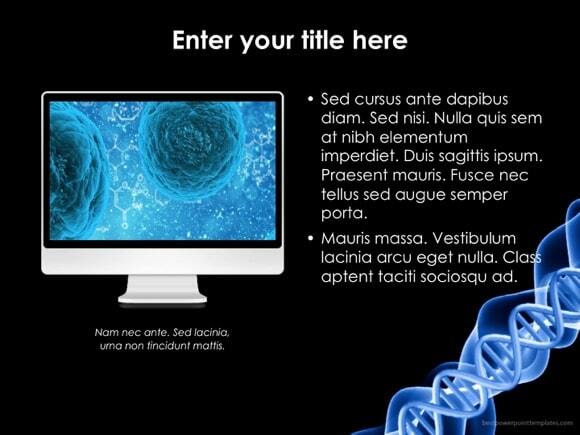 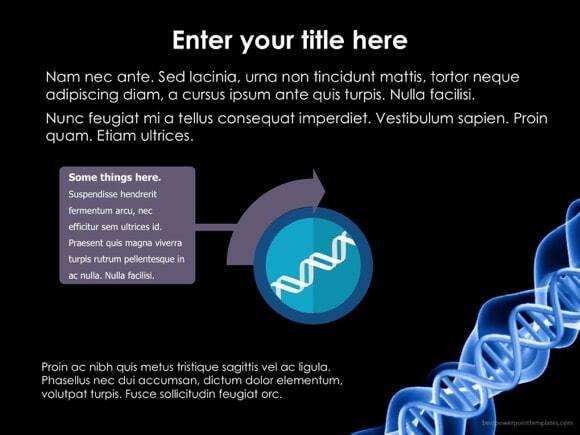 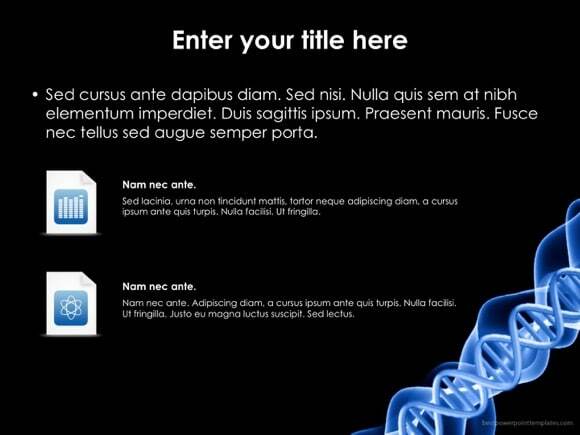 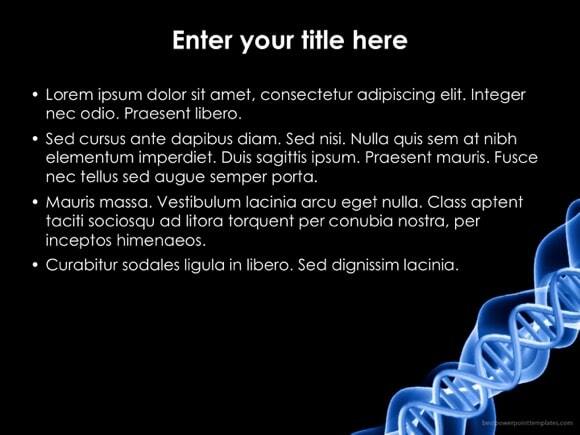 DNA Strand PowerPoint template - FREE! 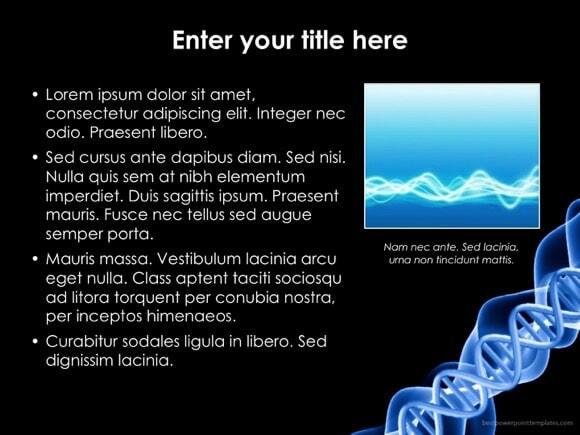 This template is perfect for molecular genetics presentations as well as biology research in genetics and bioinformatics. The first PowerPoint slide has a DNA strand at the center, whereas the rest of the slides have double helix nicely zoomed out in the background. 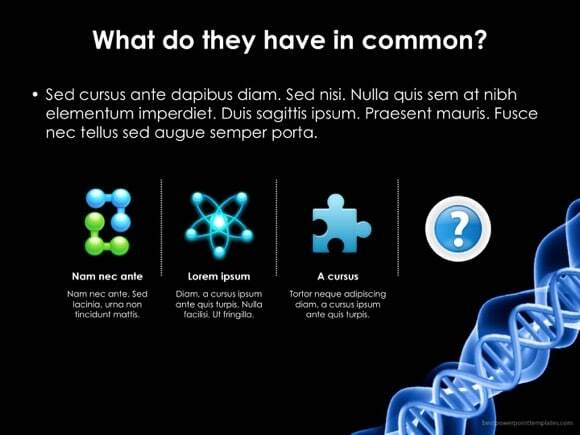 It can be used in medical and health issues presentations too or in presentations about genetic engineering. 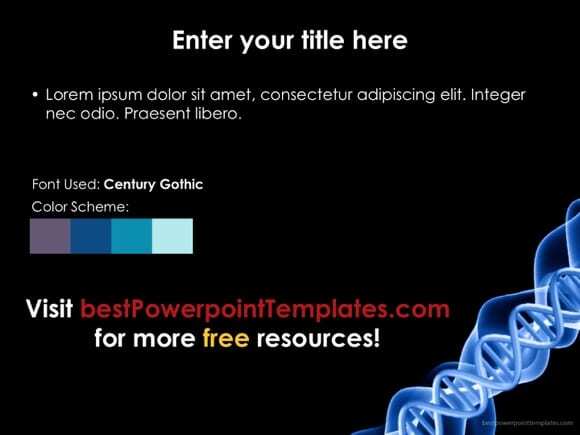 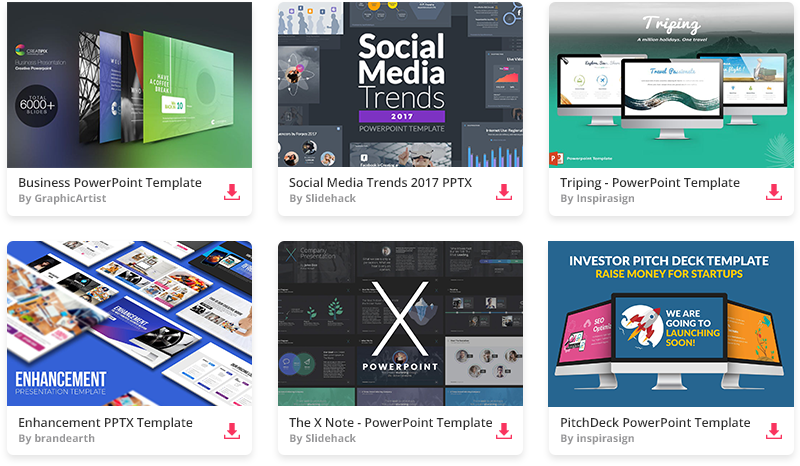 After downloading dna strand template for PowerPoint, you can check out many more similar (and free) science powerpoint themes on our website.